April is the month to meet your new Interactive TV partner for entertainment, hospitality, and the maritime industry. Nevron is available for all your questions on three super cool events around the world! Media and entertainment enthusiasts should meet us at the NAB Show, people from hospitality at HITEC Europe, and those who love sea, should meet us at Seatrade Cruise Global. HITEC is the world's largest and oldest hospitality technology exposition and conference brand that offers attendees essential education, access to top technology industry experts, and the resources to find cost-effective ways to improve company bottom lines. NAB is the ultimate event for media, entertainment, and technology professionals looking for new and innovative ways to create, manage, deliver, and monetize content on any platform. Check your calendar NOW and schedule a meeting! The time is ripe for a big time. Mon-Fri: 8 a.m. - 4 p.m. CET. Request more info about Nevron IPTV products. 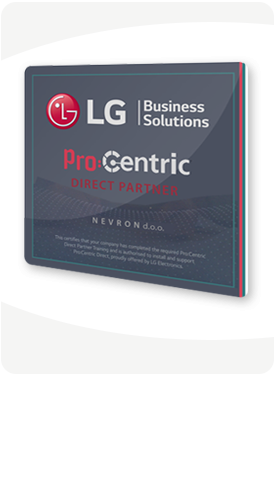 Apply for Nevron portable DEMO Kit and evaluate quality and performance capabilities of Nevron IPTV products. Apply to become a Nevron distributor in your region. Apply for free IPTV project consulting.